Alun and Jill Whitehead, holders of a National Collection of Siberian irises, run a small nursery at Aulden Farm near Leominster and are keen to tell visitors that the Welsh Marches have long been linked with this appealing, easily grown group of plants. Their National Collection was in part rescued from an abandoned nursery field nearby, and renowned breeder Jennifer Hewitt lives on Clee Hill in nearby Shropshire. Siberian irises are planted throughout their three acre garden in a range of situations with the National Collection displayed in raised beds in what Alun and Jill call "the allotment", planted in order of the date they were introduced to cultivation beginning with Iris 'Snow Queen' in 1900. They flower from mid May to early June forming intense blocks of colour, from deep blue or reddish purples, through pinky mauves and soft lavenders to pale blues, whites and subtle butterscotch yellows. There are silver or gold edges on the petals of some, whilst others have strong veining or marks of contrasting colours called signals on their falls, the lower petals (technically sepals). When the sun is low their intricately veined flowers glow amongst grassy, pliable leaves that move in the breeze, perhaps more suited to the soft British landscape than their brittle bearded cousins that thrive in hotter climes. 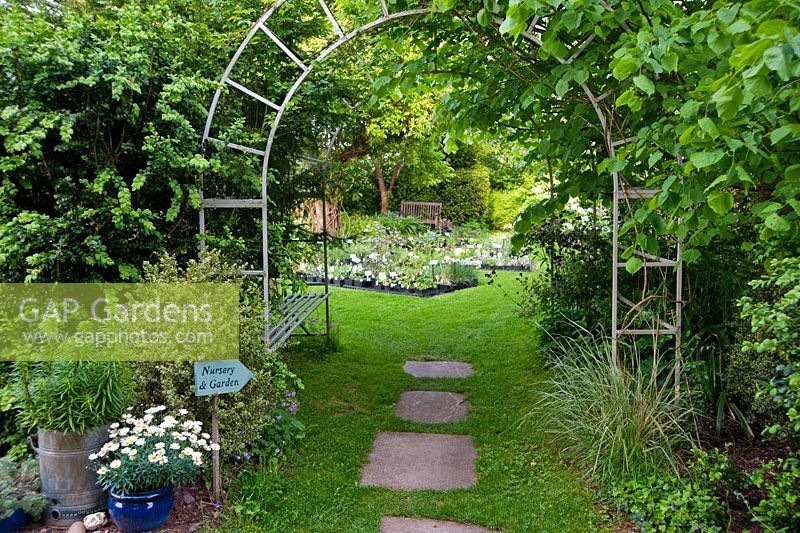 Their nursery offers a wide selection of hemerocallis and other choices herbaceous perennials as well as the Siberian irises: a fine specialist plant collection sited within an enchanting country garden.